How unusual, what a blessing it is to have two quiet and beautiful movies opening up the same week in New York City, certainly one of the hustle/bustle capitals of the globe. For anyone wanting a respite, some solace from the ever-present rupture and noise, you've got two fine choices (Why choose: See 'em both! ): Hide Away, covered earlier this week, and the film under consideration here, FOUND MEMORIES. This very quiet movie, co-written (with Maria Clara Escobar and Felipe Sholl) and directed by Júlia Murat, (shown at right) tells the simple and slow-moving story of a backwater Brazilian town, located in the verdant region of the Paraíba Valley. Formerly somewhat grand but now fallen into disrepair and populated by a few remaining senior citizens and the town's priest -- each of whom apparently has a daily task to accomplish for the good of the small community -- the town of Jotuomba could almost be seen as what lies in store for another small community, whose story was finely told in the recent documentary Tales from Dell City, TX. 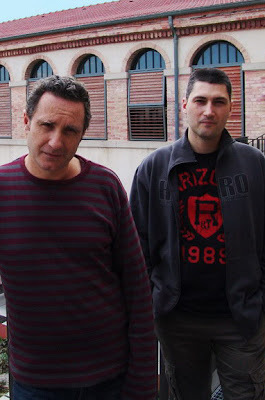 Found Memories, however, is not a documentary, though it uses much of the kind of film-making technique found in documentaries (Ms Murat's only other full-length feature was a doc titled Dia dos pais). This is a narrative film, with the town and its characters created from the imagination but given such specifics (along with rapturously lovely cinematography by Lisandro Alonso's usual cameraman, Lucio Bonelli) that they live and breathe and catch us up in their lives -- despite (maybe even because of) how slowly things move here. This is part of the town's and of the movie's charm. You'll either go with it or quickly give up. 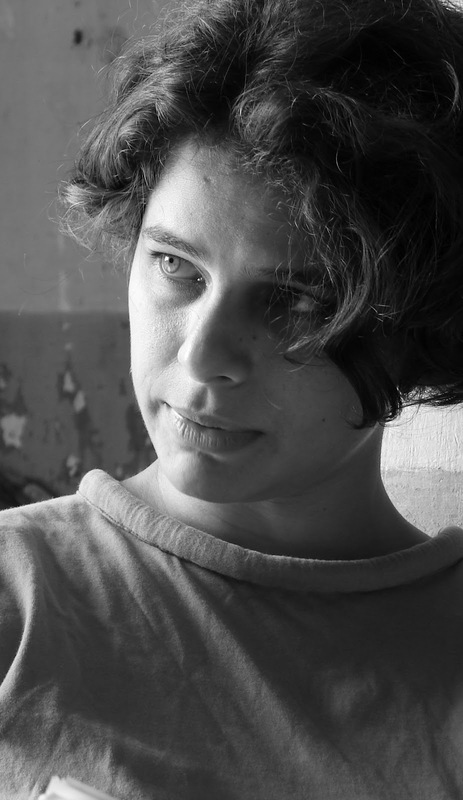 The movie's action, such as it is, concerns the arrival of a young woman named Rita (played by Lisa Fávero, above), a photographer perhaps on vacation (or escaping from a bad relationship) who needs a hotel (there is none) and so persuades Madelena to let her stay with her for a few days. These soon become a week, and a guarded relationship (between Rita and Madelena and between Rita and the town and its inhabitants) slowly blossoms into something more. There. TM has done what he always tries to avoid -- giving away the goddamned plot. Yet this blossoming, with its tiny increments and details, is really all. Within it, you'll stumble across some inter-esting ideas: the glories of motion vs. still photography, why age needs youth & vice versa, and the uses and importance of tradition and repetition. And maybe ever more that I didn't catch. So relax, lean back, stay awake, and enjoy. This is one beautiful movie. 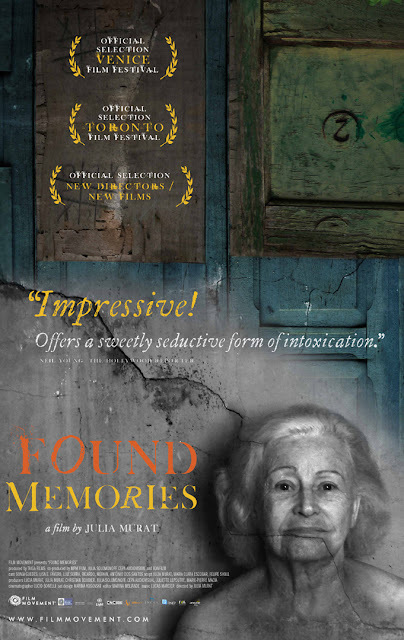 Found Memories (called Historias que so existem quando lembradas in its native Portuguese), from the ever-reliable Film Movement, opens tomorrow -- Friday, June 1 -- in New York City at the Lincoln Plaza Cinema. The only other playdate currently scheduled can be found here. Once the movie opens in Manhattan and does some decent box-office, however, who knows? 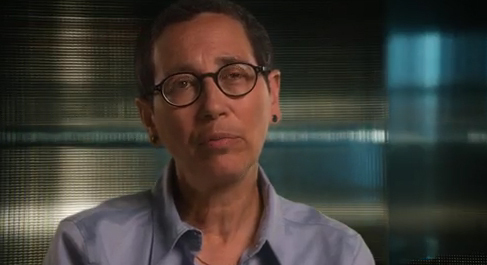 This could be the most important documentary of the year. Forget that: of the decade. You might say that it goes against conventional wisdom, except that this isn't wisdom, really: just conventional, follow-the-leader, lemming-like behavior in the quest for a feel-good quick fix. In any case, the film is going to be extremely unpopular among the powers-that-be in the corporate and medical world. PINK RIBBONS, INC., the new documentary from Canadian film-maker Léa Pool, shown at right, is likely to make those people apoplectic even a few minutes into the movie. Not that Ms Pool or any of her many interviewees ever raises their voice. No. These people are quiet, concerned, informed -- and fed up. As you may be, too, once you've watched the movie in its entirety. Believe me, I have nothing against the color pink or against ribbons in general. In fact, hearing the story of the woman, now elderly, who first came up with the idea of a ribbon as a symbol for breast cancer, proved both a heartening and appalling experience. Appalling because her initial ribbon was the color orange -- nothing wrong with that -- but when a very well-known corporation wanted to buy from her the right to own that ribbon and use it to hawk product and make money, she said no. And so, clever company that it was, it simply changed the color to pink. And that's how we've become stuck with pink products galore that would have you believe that they are all helping to fight breast cancer. Are they not? 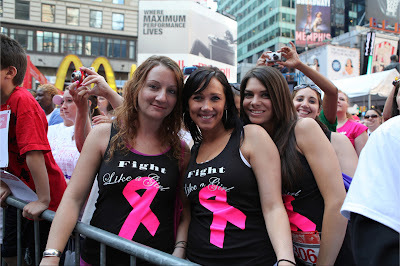 Well, Pink Ribbons, Inc. shows us why they not only are not helping but may actually be hindering, as well. Ms Pool and her researchers get down to the nub of things by pointing out how certain companies, while going "pink" to raise money to help fight breast cancer, are simultaneously manufacturing products that are linked to causing the disease. 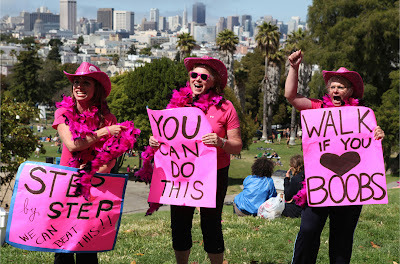 This is capitalism run typically amok, and further encouraged by the huge commercial success of the entire "pink" campaign that has, as the movie so insightfully demonstrates, raised millions of dollars in the name of breast cancer -- very few of which are devoted to prevention of the disease or to the real education of the public, but rather go for "research" and that long promised "cure." 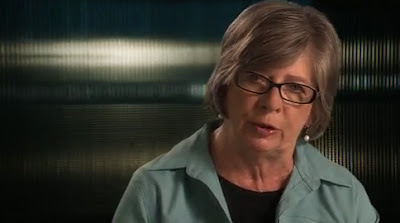 As social critic Barbara Ehrenreich (above, who leads off this fine film) quietly explains, "The effect of the whole pink ribbon culture has been to drain and deflect the kind of militancy we had...." As the movie points out, with specifics that encompass psychology, sociology, economics and politics, the breast cancer movement has changed from activism to feel-good consumerism. We watch, aghast, as Pink seems to take over the world: from the expected Teddy Bears to food product (what Barbara A. Brenner, below, ex-Executive Director of Breast Cancer Action, says about a certain company's yogurt campaign is highly instructive, while what we learn about the Kentucky Fried Chicken campaign is downright shocking). 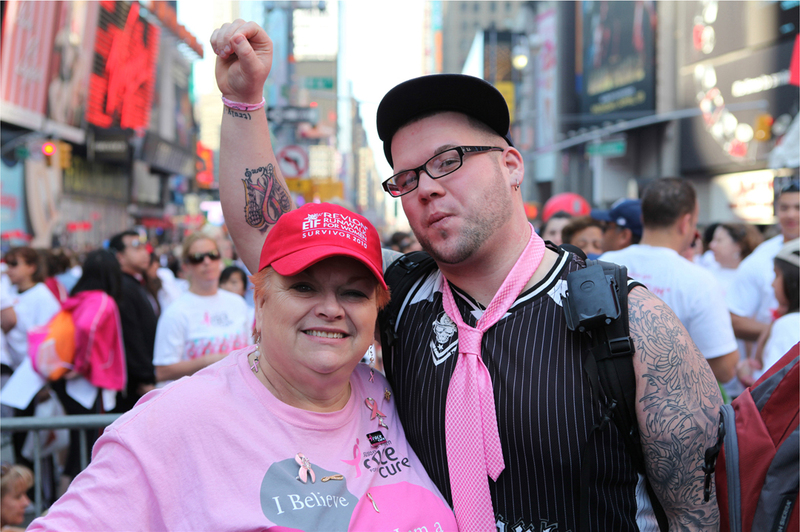 Even Niagra Falls and the Empire State Building go pink! 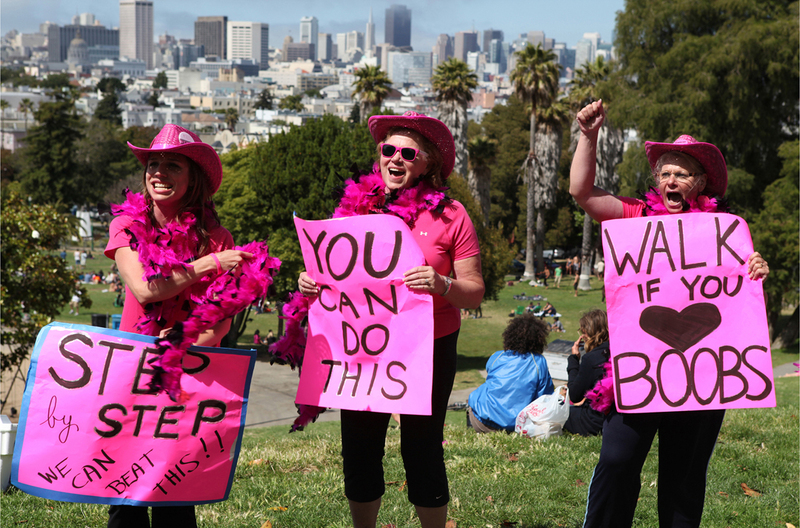 Starting back in the 1970s -- with the Reagan administration's push toward "private" and "business" solutions to health, social welfare and charity -- the film moves on to the Pink Campaign's selectively leaving out those women who are dying via Stage 4 Breast cancer (come on, this campaign is about surviving, not death! ), quietly and effectively raising your hackles in the process. Or, to put it even more succinctly by quoting the objective of this compassionate, well-reasoned documentary: to persuade the word's citizenry to simply "Think before you pink." 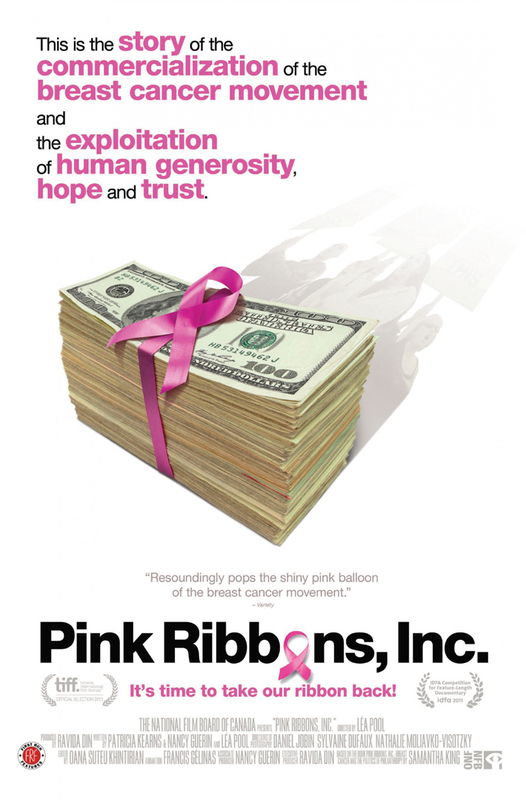 Pink Ribbons, Inc., from First Run Features, will open this Friday, June 1 in New York City (at the IFC Center) and in the Los Angeles area (at Laemmle's Monica 4-Plex and Playhouse 7), and will begin a limited release that will hit at least 20 more cities across the country in the weeks to come. Click here to see all currently scheduled playdates. 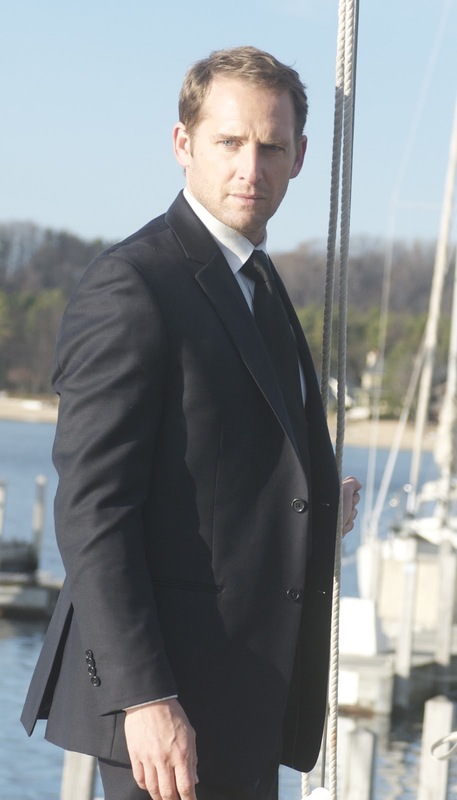 How talented, how versatile is Josh Lucas? The 40-year-old actor may look the same from role to role, but he continues to grow -- while surprising us and maybe even himself. He can handle with flair and depth roles as varied as romantic comedy (Sweet Home Alabama); character-driven independents (Coastlines, Stolen); would-be, under-rated blockbusters (Poseidon); extreme villains (Undertow); sad, near-comedic character roles (Daydream Nation) and indescribable art-film shockers (the must-see Death in Love). This actor manages them all with nary a dishonest moment. Now comes a quiet little movie called HIDE AWAY that he carries, acting-wise, nearly single-handedly on his own broad-enough shoulders, creating an indelible character in a beautiful and memorable film. "Are you a boat guy?" a fellow asks Lucas (at right, whose role here is called simply The Young Mariner). Playing a man of very few words, our guy doesn't answer, but since he has just bought himself a boat, we of course assume he is. But, no. 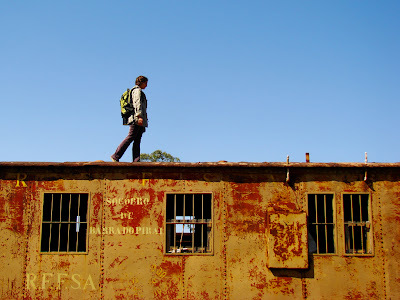 So why has he purchased this old wreck, and what does he plan to do with it? Answers are a long time coming; when they do, we are so caught up with our Mariner -- his moment-to-moment life, and the odd acquaintances he has made -- that we no longer care so much about any "answers." 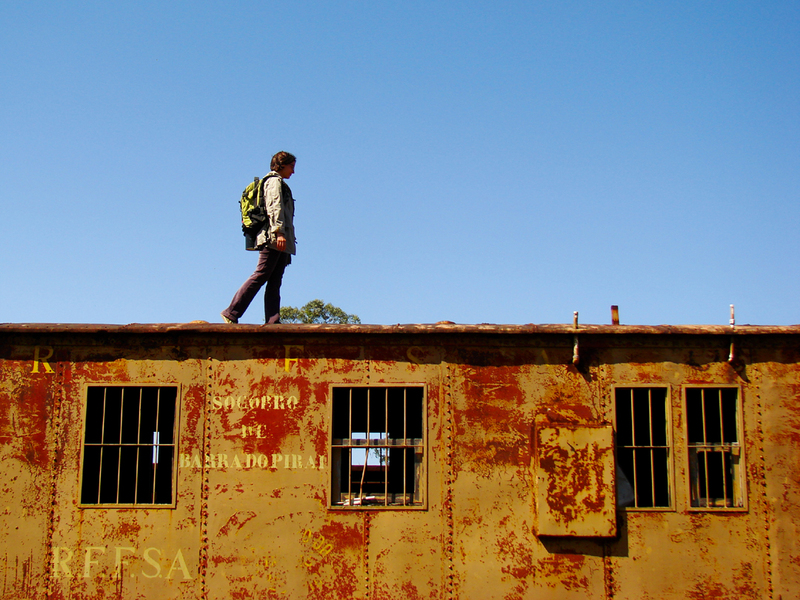 It takes a movie of particular grace and serenity to help its audience achieve this state. By gum, Hide Away does just that. The film has been directed by Chris Eyre (shown at left), a name that should be familiar to movie-lovers but may not come immediately to mind because its owner has directed but a very few films over the past 14 years (he's worked more in TV). 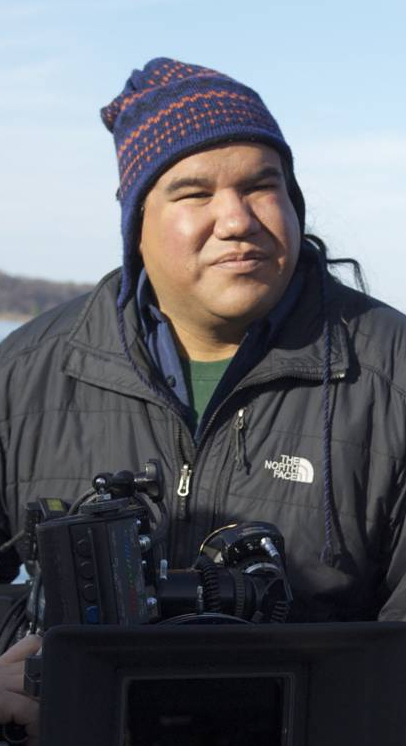 One of these films, however -- his first -- was the independent treasure, Smoke Signals. Hide Away, though very different, is just as good. Eyre combines the peaceful beauty of the coastline and water, the flora and fauna, the changing weather with a remarkable lack of dialog to achieve a kind of simplicity and elegance (the latter most definitely not of the chi-chi sort) that quietly but strongly forces us to respond to the Mariner and the other characters in their own time and at their own pace. This is something most movies would be very afraid to even try, let alone succeed at so remarkably well. As good as is the work of Mr Eyre, so, too, is that of Peter Vanderwall (shown at right) who wrote the quite special screenplay, an interesting note about which appears at the end of this post. 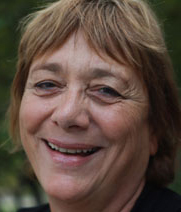 It was the screenplay, which was written nearly a decade ago, that first attracted Eyre, Lucas and producer Sally Jo Effenson to the project. 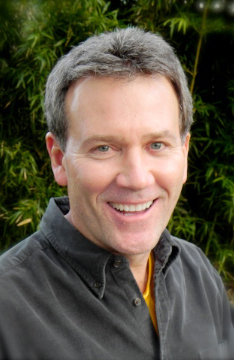 To create a story of a man in recovery using so little dialog can not have been an easy task. To further add a group of subsidiary characters, all of whom have their own problems (and their own reasons for clamming up) seems to me to be really taking a chance -- which simply makes the work of Vanderwall, Eyre and their cast even more risky but finally all the more impressive. The supporting cast is made up some very strong actors who are able, with few scenes and little dialog, to create characters that live vibrantly and help us interact with our troubled hero. Ayelet Zurer (above, in the background to Lucas' foreground), who registered so well in the recent Darling Companion, does exactly that here. Whatever movie she appears in, Ms Zurer offers it a strong presence, and this one is no exception. Maybe the most impressive single scene takes place between the mariner and the pretty young woman (a lovely turn by Casey LaBow) whom he often sees working the cash register at his local market. This sudden, surprise meeting between them, using little dialog but remarkable feeling and tension, is filmed and acted beautifully, allowing viewers to fill in the blanks that unwanted exposition usually handles. Good work also comes from actors Jon Tenney (shown at right) as a marina neighbor of the Mariner who isn't quite the "boat man" he believes himself to be) and Taylor Nichols as Lucas' frustrated but-still-hanging-in-there boss. 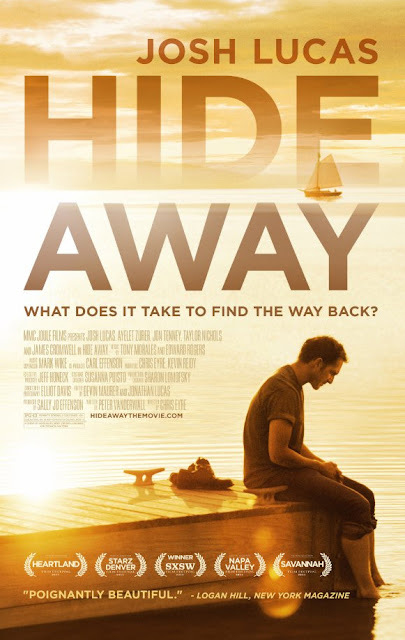 Hide Away may leave you, as it did several of us at the end of the screening, in a quiet state of grace. It certainly isn't much like anything else that has opened theatrically of late. In terms of its reach and its grasp being very nearly at one with each other, I'd have to rate it among the very best of this year's movies so far. The film opens this Friday, June 1, in New York City at the Elinor Bunin Munroe Film Center, in Los Angeles at the Laemmle Music Hall 3, in San Francisco at the SF Film Society Cinema, and in Salem, Oregon, at the Salem Cinema. It will have other playdates around the country in the weeks to come. Click here and then click on SEE THE FILM, and then Theaters to see all the currently scheduled playdates. The movie is also available via iTunes and VOD. To learn where and how to get it in this fashion, click here, and then on SEE THE FILM and then click On Demand. 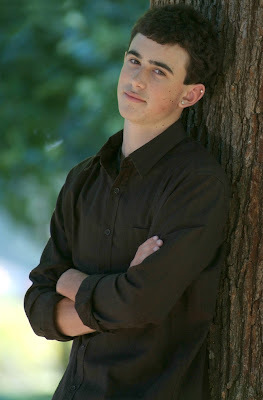 HIDE AWAY is dedicated to the memory of my son, Kenneth Vanderwall, who died suddenly of cardiac arrest two weeks into his freshman year at University of San Francisco in September 2008. The photo of Kenny in the end credits (shown at left) was taken on campus after we had moved him into his dorm room and atten-ded the welcome ceremony for new freshman. We said our goodbyes right after that photo. It was the last time I saw him. 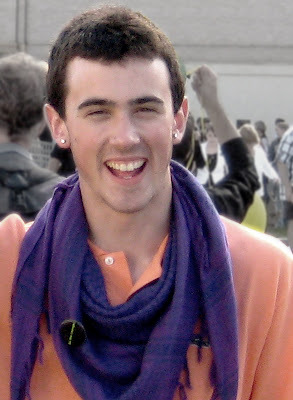 He was wearing a purple scarf that day which he had never worn before. When I asked him about it, he shrugged like any 18 year-old would and said something like, "A new life. A new style." Ironically, I had written the screenplay for HIDE AWAY several years before Kenny's death. He was an avid movie buff and an astute critic of my scripts. He was very supportive of my writing this story about a man who deals with a family tragedy by rehabilitating a dilapidated sailboat in a remote marina. Kenny (who is shown in the 2007 photo, below, as a high school senior) was a big fan of SMOKE SIGNALS so when he learned that Chris Eyre would be speaking at a local university, he suggested I talk to Chris about the screen-play. This was in the fall of 2007. I followed Kenny's suggestion and approached Chris after the screening of EDGE OF AMERICA at Willamette University. Chris said he would like to read the script. A month later, he called me and said, "I want to make this movie." So Chris and I began looking for the right producer for the film. Shortly after Kenny's death, I called Chris and said, "We have to make this movie." 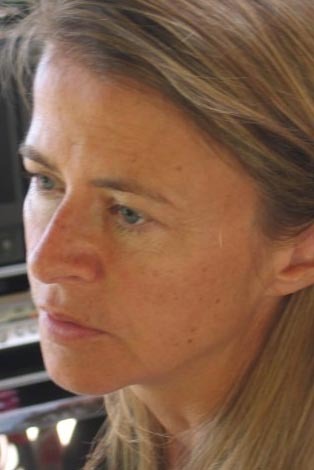 About a month later, Chris got the script to producer Sally Jo Effenson. 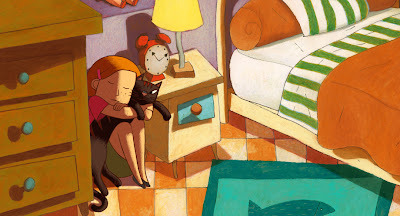 Sally Jo fell in love with the screen-play and optioned it soon after. During one of our early conversa-tions, I told Sally Jo about Kenny's passing. She said without hesitation that the film would be dedi-cated to his memory. And for that, I will be forever grateful. The act of writing a fictional narrative about a man losing his child does not prepare one for actually living it. But seeing this truly independent film get made and then watching it affect audiences has been a healing process for me. Like all of the cast and crew, I am very proud of this movie. I think Kenny would be, too. 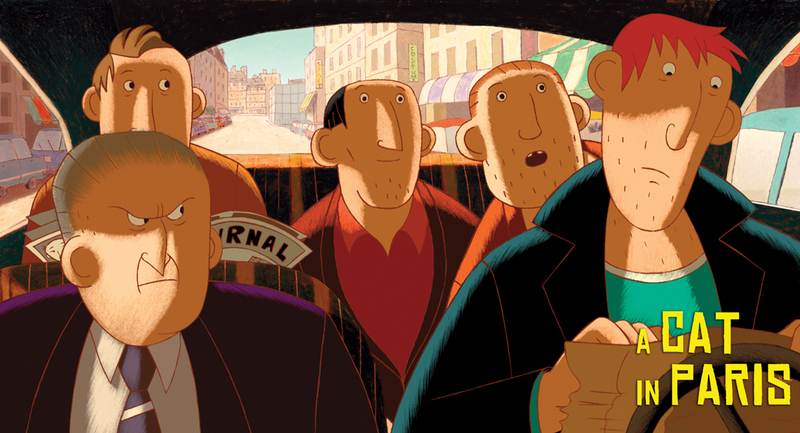 By the time that last year's Academy Awards were upon us, audiences had been able to see four of the five nominated animated films: the three Hollywood mainstreamers (Rango. which won, Puss in Boots and Kung Fu Panda 2) and the little Spanish/Cuban lovely, Chico & Rita. 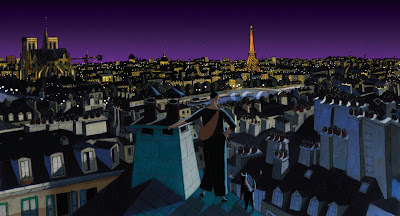 But what about that fifth film -- of which nobody seemed to have heard anything -- a little movie called A CAT IN PARIS? Now we know. 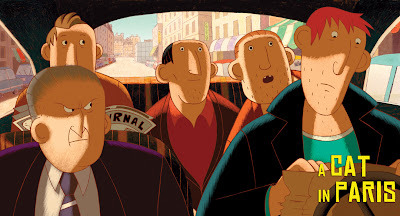 Directed by Jean-Loup Felicioli and Alain Gagnol (shown above, with M. Felicioli on the left) and written by M. Gagnol and Jacques-Rémy Girerd, this 67-minute round of non-stop, stylized and stylish, hand-drawn animation is a visual treat of major propor-tions in the guise of a minor kids' adventure. 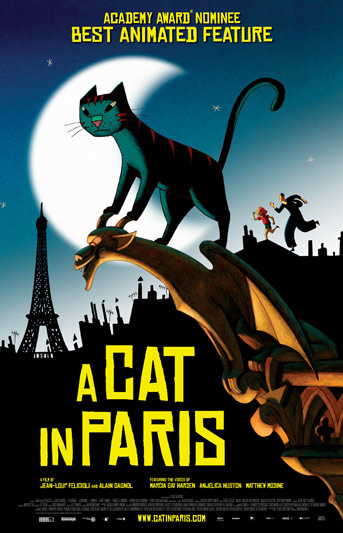 The film's original French title, Une vie de chat (A Cat's Life) is funnier and more ironic than its English counterpart (of course the cat's in Paris; that's where it lives). TrustMovies took his 7-year-old grand-daughter to the screening, and she pronounced the film "very good; I liked it a lot." Fortunately, its distributor GKIDS is releasing the film in both dubbed and French-language/English-subtitled versions. We saw the dubbed one, which was done quite well, with the likes of Marcia Gay Harden, Matthew Modine and Angelica Huston handling the voices. 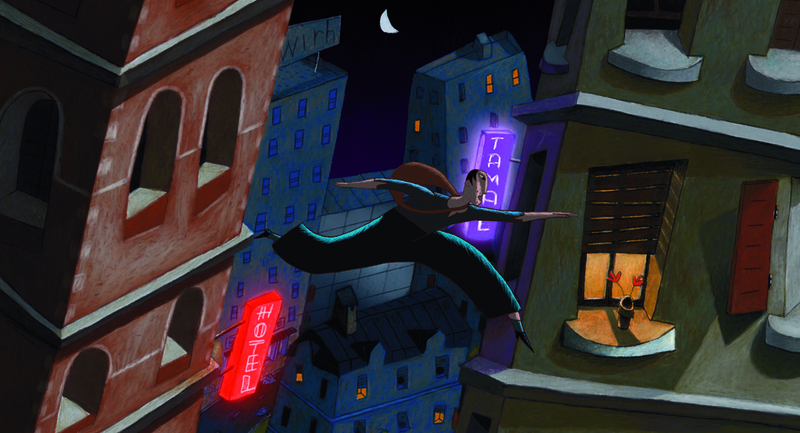 You might call the story, which said grand-daughter found "a little scary," a kind of police procedural for kids. It has to do with a young girl named Zoe (above) who, due to a fairly recent traumatic experience (unseen on screen), has lost her ability and/or will to speak. While at work, Mom leaves Zoe with a housekeeper and her pet cat, Dino, who, it turns out, has quite the active night life. I've often heard that cats are nocturnal creatures; this one defines the lifestyle. 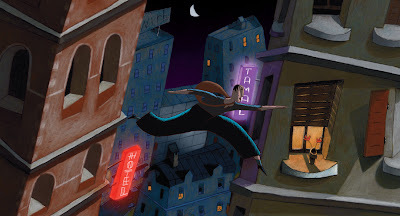 Art theft, rooftop chases, kidnapping and more ensue, and the clever, economical but often quite gorgeous animation -- which is definitely the star of this show -- makes everything eye-poppingly watchable. 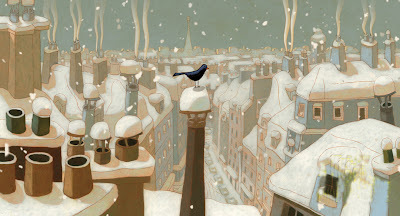 Ah, the Parisian night scenes (above), or the wonderfully rendered change of seasons (below)! On the other hand, the animation is nicely subtle and suggestive (notice how the artists indicate whiskers and other facial and body hair). There's always a smart sense of humor at work here, too. 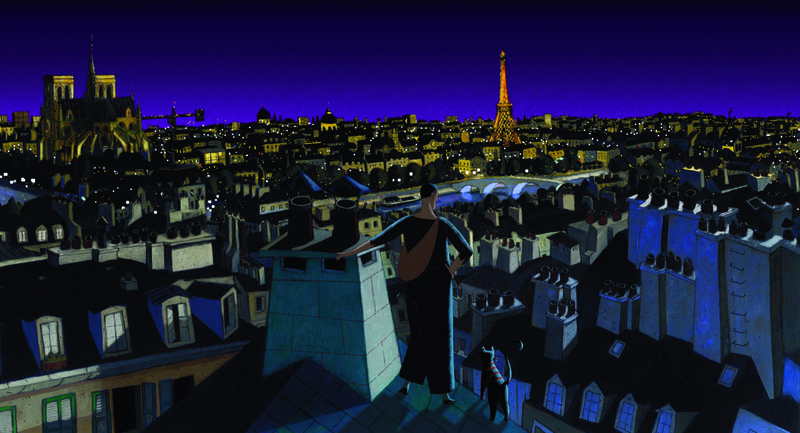 A Cat in Paris, which is a special treat for those of us who still love hand-drawn animation, opens this Friday, June 1, in New York City (the Angelika Film Center and the AMC Empire 25) and at Land-mark theaters in Los Angeles (NuArt), San Diego (Ken Cinema), Berkeley (Shattuck Cinemas) and San Francisco (one of the Landmarks; at this point they're not telling us which). The movie will be opening elsewhere all across the country over the summer. Click here to see currently scheduled playdates, cities and theaters. 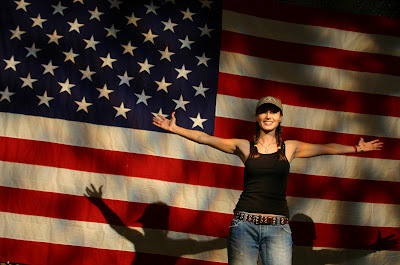 CHELY WRIGHT: WISH ME AWAY--Bobbie Birleffi & Beverly Kopf's new doc tracks the coming-out of a country-music star. Yikes! The new documentary, CHELY WRIGHT: WISH ME AWAY -- about a famous country music star who, after years of success, including a couple of hit songs, one of which soared to number one on the charts -- is fascinating for a bunch of reasons. It offers the fullest view I've yet seen of what publicly admitting yourself to be gay is like for a celebrity, and in doing so tackles not just the public persona involved, but the private person, that scared little girl with a need to be loved underneath all the "personal appearances," the PR, the glitz and the ever-present fans. The better-known you are, the more difficult coming-out has to be. And Ms Wright (above) -- near the top of her game as a beautiful, young country music performer -- would seem to have an awfully lot at risk, should she lose her fan base and the approval of the country western powers-that-be. 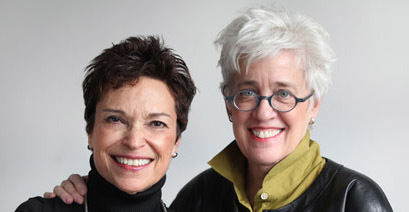 The film's co-directors, Bobbie Birleffi (above, right) and Beverly Kopf (above, left), yank us into things by letting us see some of the private video diaries kept by Chely (the Ch in her name is pronoun-ced as Shelly, rather than as the ch in chocolate). These videos, one moment from which is shown below, are full of her doubts and fears, as well as her hopes, and they make a rather startling contrast to the public performer we see elsewhere in the film. From these diaries, and from the usual talking heads -- which include everyone from close family members (interestingly enough, mom is not among these) to prominent figures in the music business, and even Chely's pastor, who has some of the more interesting, even surprising, things to tell her (and us), we get a rounded feel for the public performer and private woman, as well as for the milieu in which she labors. The film is full of succinct, often funny nuggets: her dad tells us that the family always knew Chely would be a performer because, as a little girl, "she used to sit on the can and sing Loretta Lynn songs." From an early age, this girl knew, not only that she was "different," but what that difference meant. One of the saddest moments comes when she tells us, "I made a deal with god: 'I won't act on this, and that will give you time to take it away'." Good luck. The filmmakers take us up to and through the media circus that results when Chely finally does the deed, and we learn the outcome of all this -- so far, at least -- both personally and professionally. Birleffi and Kopf had access to Ms Wright for three years, and they watched and filmed her struggle. It was time well spent. The resulting 96-minute movie (cut down from a longer two-hour version that evidently played some festivals) should prove time equally well-spent for viewers of this remarkable history. I'd like to say that Chely Wright; Wish Me Away might result in more celebrities coming out of the closet. But because the film is done with such honesty, showing the pain, the struggle and the not-always-so-fabulous results, I am not at all sure. You put your career on the line when you make a move (and a movie) like this, and when your primary audience is composed mainly of today's fundamentalist Christians, who have not even a nodding acquaintance with the actual teachings of their supposed prophet, what can you expect? As one of the music men who understands this audience all too well puts it: "There's nobody quite as mean as someone who's being mean for Jesus." The movie opens this Friday, June 1, in New York City at the Quad Cinema, with further openings across the country in the weeks to follow -- just in time for, you guessed it, those ubiquitous Gay Pride parades. Click the link ahead to view the complete listing of scheduled playdates, with cities and theaters. Made for Swedish television, which, if this particular 90-minute episode is any indication, is better and more adult than American network TV (are we surprised? 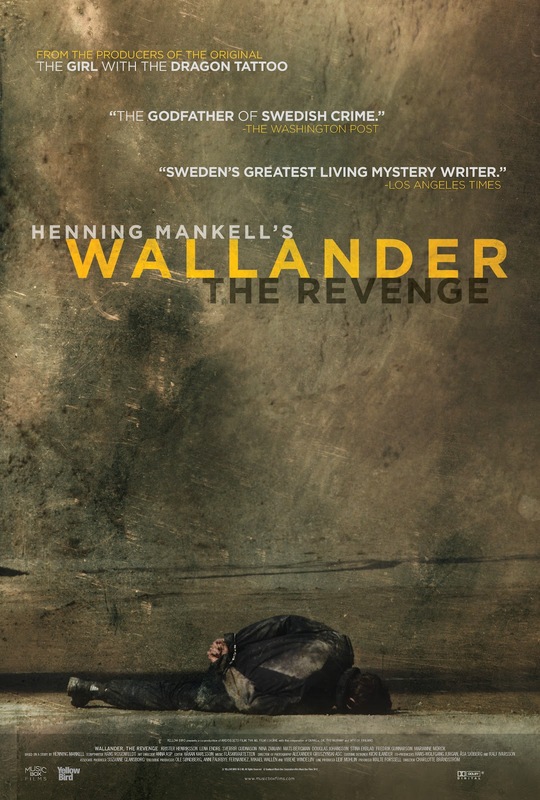 ), HENNING MANKELL'S WALLANDER: THE REVENGE (that'll fill or kill a marquee!) is also better than the ersatz-Swedish version that starred Kenneth Branagh and aired here a couple of years ago via Public Television. Why? The first thing you'll notice is that this film is much less glossy. A sense of reality hangs over everything from police headquarters and individual domiciles to the quiet (until very recently) little town itself. This film is said to be the first episode of the original Swedish Wallander series, and its director, Charlotte Brändström (shown at right), and writer, Hans Rosenfeldt, do a good job of introducing the characters, as well as bringing things to a satisfactory conclusion, while leaving just enough interesting loose ends to make us want to continue watching. 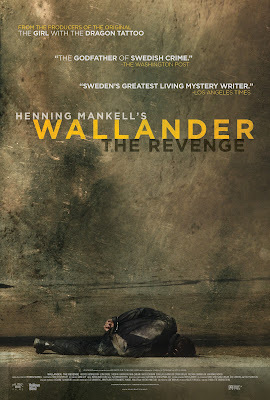 Which is handy, since the movie's theatrical distributor, Music Box Films, this past Friday released to VOD, iTunes, Amazon and Vudu thirteen of these Wallander "movies" for our further delectation. DVD versions will be available this coming Tuesday, May 29. Bad things suddenly happen in the town in which Wallander abides -- explosions, murders -- at the same time as a controversial (read Muslim) museum exhibit is opening. The question of terrorism immediately rises, the army is called in, and politicians get into the act. What is going on -- and why? As police-procedurals go, this particular Wallander is a pretty good one: relatively fast-moving, but never too fast to omit the smart detail or character trait that helps enrich the whole. And the character of Wallander himself is brought to life so much better than did the PBS version. Kenneth Branagh is a fine actor, but he was spotlighted far too heavily in that series and finally made to seem like such an icon that his every moment and move had to register strongly. Too strongly. 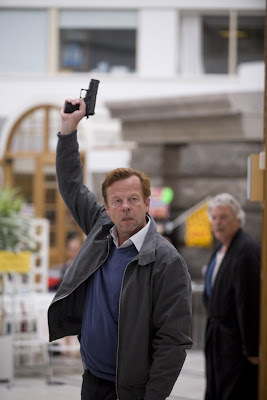 Krister Henriksson (shown above), the Wallander of this series, plays his character as simply a man: decent, old-fashioned (he's got some things to learn about today's women), brave, and intelligent but no Einstein. He surrounds himself with good people and makes the best use of them. Henriksson gives a quiet and increasingly strong performance. He's memorable without ever being showy. The only other "known" cast member to most Americans will be Lena Endre, at right, who plays the Swedish equivalent of a district attorney who must work with Wallander. She's lovely -- and as watchable as ever. 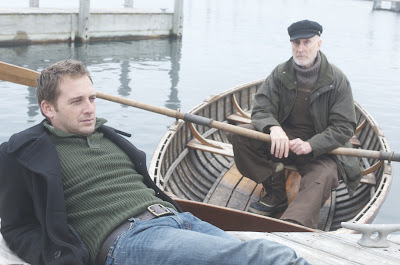 Perfectly good entertainment on any level, this Wallander still has the look and feel of television. But if you're hankering for a big-screen movie experience, it'll be opening on either coast: this coming Friday, June 1, in New York City at the Cinema Village, and on Friday, June 8, in the Los Angeles area at the Laemmle Music Hall 3.